WHAT started out as an aircraft maintenance training system has now taken a life of its own. Aviation Virtual, a virtual reality (VR) solutions company, was sparked by a chance meeting with the system, and a love for technology. "The idea started because Dr Chong was trying to approach me. 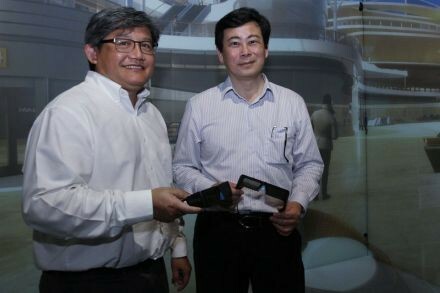 He said he had something very exciting, 3D Virtual Reality, which he thinks can be applied to the market," Aviation Virtual executive director Khoo Beng Keat said. Managing director Chong Chee Leong said he told Mr Khoo that he thought it would be "a good product if we manage to get it out". He went on to explain that VR was often used for edutainment purposes at the time, and he had not seen anyone applying it to the industry. Hence, he wanted to identify a way to apply the technology to the industry. "So I figured, if I know the technology and I know how it's done, and he knows the domain, or what we call aviation, we can actually come together and be able to put together something. I think that's how it started," Mr Chong said. Aviation Virtual is a company that puts together a simulation programme that allows people to see what they are getting. The purpose of VR solutions is to enable people to visualise things in a life-size format, where they can walk through the simulations as though it really exists. That way, they can conduct decision making more smoothly, such as how the designs should be, and also look into possible things which are designed wrongly so as to prevent any mistakes from happening. The company first started with aviation maintenance training, where an aircraft is taken and modelled to full size in VR. This is so that a person need not access a real plane. Through this programme, the person is able to familiarise themselves with what they are doing before accessing the actual aircraft. The programme is conducted through the use of the company's Immersive Virtual Reality Studio (IVRS), the first of its kind in Singapore, said Mr Chong. After embarking on the training programme, the pair went on to develop VR solutions for other industrial verticals, such as in the buildings, architectural and renovation industries. "It was also an evolution. I don't think we planned for it but we were doing this and then the chance (came). Some people came by and say this can be used for certain building applications and other applications so we tried on a higher project and they liked it so much. I think after that it just grew, took a life of its own," he said. They are now looking at simulating difficult situations, such as a guide to respond to fire emergencies, safety situations and evacuations, for example. Recently, they created a virtual fire extinguisher with the VR system to train people on how to use it. They have also started to design spaces, both open and constraint, for hospital grounds and shopping malls. "VR actually opens a new dimension where CEOs, chairmans are able to argue on level playing field with the architects and designers. Because previously it was always in the arena of the architects and the designers. (But) it's not blueprints any more, it is a real thing," Mr Khoo said. The duo first put together a small VR simulator as a proof of concept during the 2014 Singapore Airshow. The attention garnered gave them the reassurance that they were on the right track. "We then started looking out for people who would be willing to fund the idea or, at the same time, apply to the government for grants to actually get started," Mr Chong recounted. An idea in 2013 became a reality in 2014. By January 2015, Aviation Virtual hired its first employee and started its capability building. The government helped with a S$1 million grant. "Over the last one year, during the period where we are staging ourselves up towards this growth period, we got investors who put in some money and that's quite substantial as well because we need to hire a lot of pretty high-level technical people, programmers and graphic artists," Mr Khoo said. But here's the catch. Although the company managed to apply for the Aviation Innovation Programme grant with the Civil Aviation Authority of Singapore, it still had to fork out the initial capital. "It's (the grant) on a reimbursement basis. We have an innovative idea, we put out the idea, the government felt that it was worth supporting, so they supported it. We paid for it first and then we get the reimbursement," Mr Khoo said. Fortunately, friends and relatives were willing to invest in the company and helped tide them over when they really needed the money to grow. Now in its third year, the business is taking off. "We should be having a topline of about four million (this year). And then the subsequent (year) is already booked in, probably, easily, four million," Mr Khoo said. To stay ahead of the game, the company is keeping close tabs on emerging technologies, and striving to identify the needs in the industry. "When we actually hear there's a need, we actually do go very quickly into the product development, try to get it down. Then as soon as we are ready, we will invite potential customers to come and take a look," Mr Chong said. Mr Khoo also identified that the current trend is moving towards affordable head-mounted display devices, instead of having a big set-up like the IVRS. However, because it would not be able to fully emulate the experience of the IVRS, the company is looking to come up with a budget model that people can afford instead, and it has already got the contract to build one. But it does offer the head-mounted devices as an alternative as well. When asked what was the most memorable story through the journey thus far, Mr Chong recounted what it was like when the company received its first order. "It was a small order. It was for developing some content, but we see that at least this opens the door for certain things and, true enough, the customer (who) gave us the first order is still with us and apparently we would have a fair bit of business down the road." 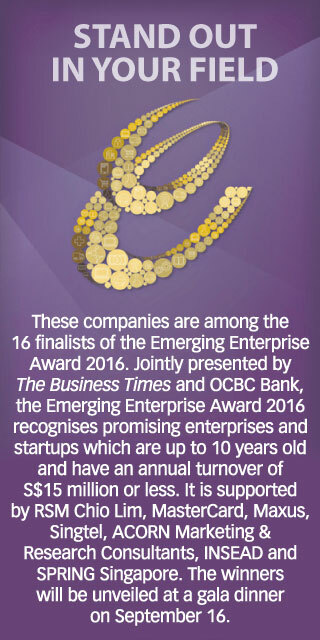 When asked where they see themselves in five years, Mr Khoo said the business could hit S$10 million in that period. "One step at a time. But of course with investors coming in, I think the whole thing can change."